Downtown Louisville will see the addition of 1,500 hotel rooms by 2018 including an Omni Hotel adjacent to the Kentucky International Convention Center and the city’s primary entertainment corridors. The luxury hospitality giant has changed the skyline of Louisville with a new 30-plus story building featuring 612 hotel rooms, luxury apartments, a market, two restaurants, spa, speakeasy and a rooftop pool. 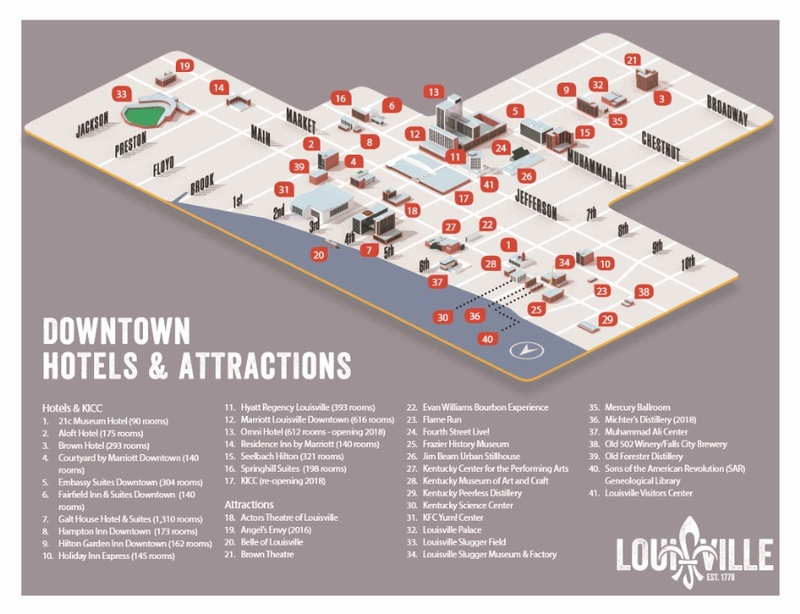 Several more hotels are under construction in the downtown area, the east end and even in Louisville’s trendy NuLu neighborhood. One of the most anticipated projects is the Omni Hotel that is now open. The luxury hospitality giant is looking to change the skyline of Louisville with a new 30-plus story building featuring 600 hotel rooms, luxury apartments, a grocery store, two restaurants and a rooftop café and spa. 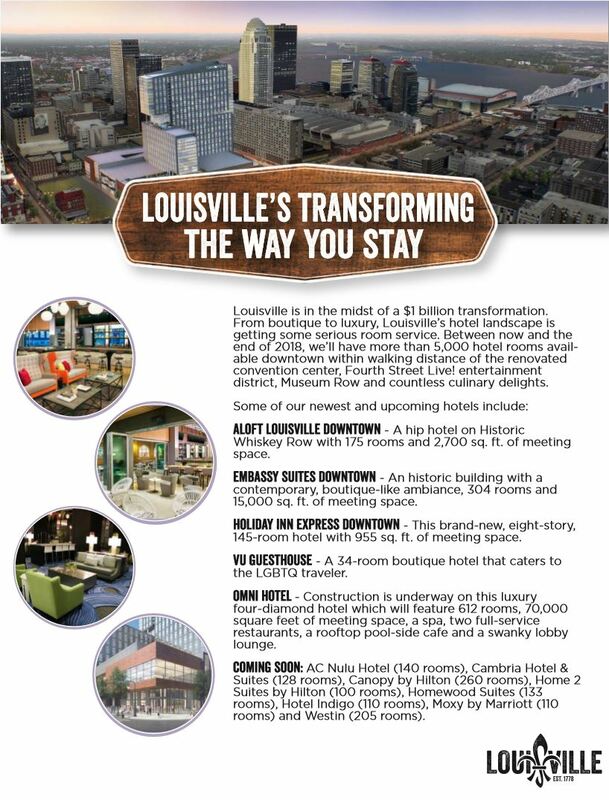 Several more hotels are expected to open in the downtown area, the east end and even in Louisville’s trendy NuLu area.